Today at about 13:45 on the N12 between Balmoral and Phola, there was a big traffic at a stand still only to find out that the new mine, Mzimkhulu mining was preparing a blasting. The mine in +-100m away from the national road. Mpumalanga traffic car and the mine alarm cars were on standby. Just 2 minutes after the blasting took place the road was covered with little rocks which were being removed from the road. 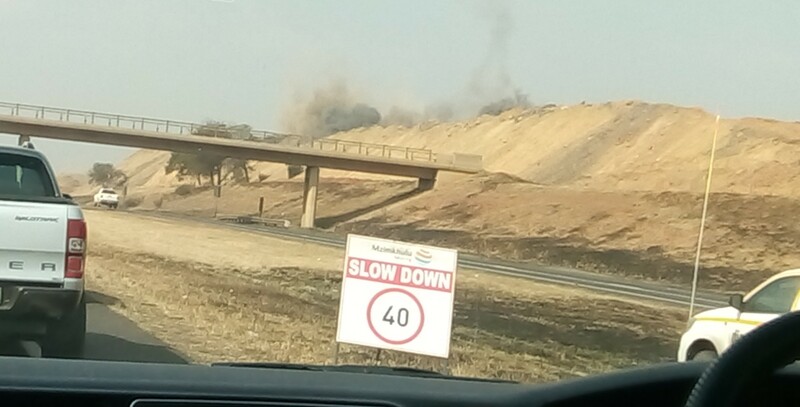 The dust is affecting the nearby farming, Phola communities as well as the motorists on the national road.